The EU's feminist bureaucrats are demanding the nation of Hungary be sanctioned for standing against the neo-liberal world order. The European Parliament's Civil Liberties, Justice and Home Affairs committee will ask MEPs to vote for Hungary to be sanctioned over alleged violations of the rule of law, just days after Viktor Orban's decisive re-election. 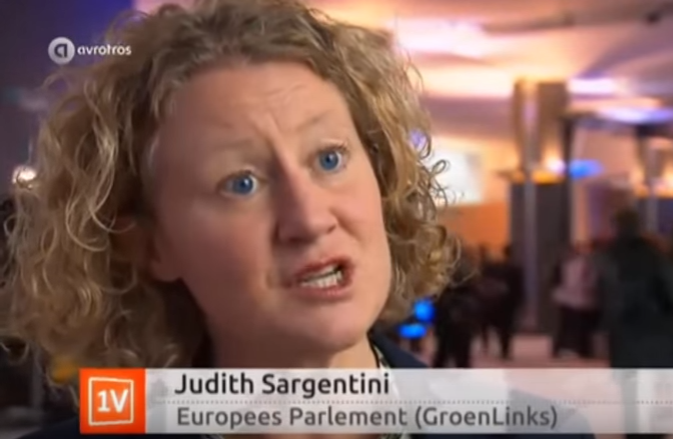 "Time and time again, Viktor Orbán's government has undermined the independence of the judiciary, freedom of the press and the fundamental rights of its citizens," said the motion, authored by Dutch Green Party MEP Judith Sargentini, who has led an investigation on whether Budapest is in breach of "EU values." Angela Merkel's Germany is conducting armed raids on people's homes and throwing people in prison for speaking out against mass immigration on social media. Where are the calls for sanctions against Germany? With Orban set for a third consecutive term, after the Eurosceptic, anti-immigrant Fidesz party took the vast majority of parliament seats on April 8, the EU committee proposed invoking Article 7 of the Treaty on European Union. The statute would force Hungarian officials to defend their country before the European Council, and could eventually see Budapest's voting rights in the EU suspended. "This is not something we call for lightly. But the EU has an obligation to protect the rights of every single one of its citizens. With no sign that the Hungarian government will change course, the Council must initiate proceedings now," wrote Sargentini. *Unless those citizens oppose our neolib agenda, in which case they'll be thrown in prison for assorted thought crimes. Approval of the initial stage of Article 7 would require votes from two-thirds of the European Parliament's 750 members. The European People's Party (EPP) – the largest in the EU Parliament – that contains members of Fidesz, says that it will not back any moves to punish Hungary. Article 7 has only been invoked once in EU history, against Poland in 2015, though no significant sanctions have come of it so far. Orban's government, which has been in power since 2010, is being incriminated for restricting the operation of foreign-funded universities and NGOs, which affected the George Soros-backed Central European University in Budapest and his foundations, restricting the rights of migrants, religious and ethnic minorities. The EU is also concerned about "the functioning of the constitutional system," as well as "the independence of the judiciary and of other institutions" and corruption. Fidesz says that the attacks on Hungary are a politically-motivated punishment for refusing to bend to EU rules on accepting migrants. "My problem with this committee, this debate and the rapporteur is that they don't want to accept the unquestionable decision of the Hungarian citizens who overwhelmingly voted in favour of the Hungarians government's path," Kinga Gal, an MEP from Fidesz, told the media in Brussels. "We are being punished because we have stood up against mandatory relocation of migrants into Hungary." Leftists only view democracy as a means to an end. The second the tide turns against them, they throw everything out the window and try to stage a hostile revolution.